If you haven&apos;t heard of Dr. Barbara Sturm, you&apos;ve probably seen her signature skin treatment: the Vampire Facial. 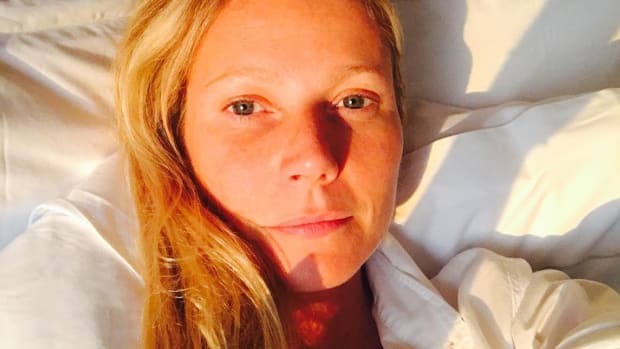 It looks exactly how it sounds—it&apos;s a facial using your own blood—and it went viral after Kim Kardashian famously shared an Instagram photo in 2013. Since then, the German-born aesthetics doctor has also garnered a cult following for her bespoke MC1 Cream, a.k.a. the "Blood Cream." For US$1,400, she draws your blood, separates out the plasma, and then infuses it into a customized shea-butter-based moisturizer. 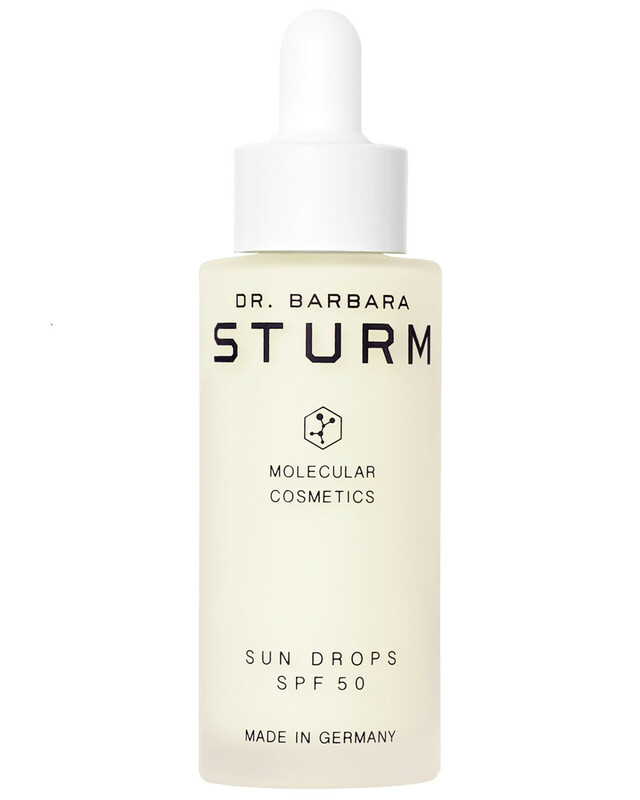 The next best thing is Dr. Barbara Sturm Molecular Cosmetics, which is her collection of skincare products—minus the blood! 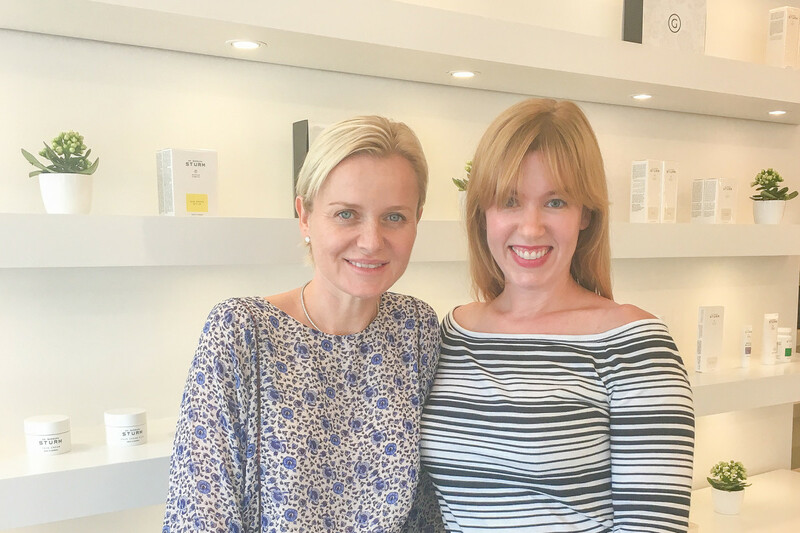 I got to meet Dr. Sturm when she was recently in Canada to launch the line at Gee Beauty (it&apos;s also at Nordstrom, Cult Beauty and other retailers). With Dr. Barbara Sturm at Gee Beauty. How did the Vampire Facial come about? I was an orthopedic surgeon, and I helped primarily in the treatment against osteoarthritis by using the body&apos;s own proteins. So, using your cells to produce healing factors—mainly anti-inflammatory proteins—and we inject those into the joints. Injecting yourself, or other people? Yeah, no, no, no. Other people! And then I thought—because I&apos;m a scientist, you know—I need to do something different than the mainstream, on a cellular level. So I combined the proteins from the blood with the hyaluronic acid, and that&apos;s what I injected. This was like, 14 years ago that I invented the Vampire Facial. Are the effects similar to a filler, like Restylane? You can mix it with the hyaluronic acid filler, you can mix it without, you can mix it as a mesotherapy. You can do all kinds of things. It uses the patient&apos;s own blood to counteract inflammation and stimulate collagen growth. How did that lead to creating your MC1 Cream? I put it in a cream because I myself suffered from dry skin. Nothing would really help me. I tried every cream on the market, and nothing would work for my skin. So I invented this cream with the blood, which all of a sudden fixed my skin. So the MC1 Cream is custom-made with each person&apos;s blood, correct? Yes. That&apos;s how I started with skincare. After that, my patients were asking me "What is Dr. Sturm&apos;s regimen?" and which skincare products they should use for this and that. But I couldn&apos;t recommend anything because I didn&apos;t find anything on the market I liked. So I decided to make some products in addition to the MC1 Cream. 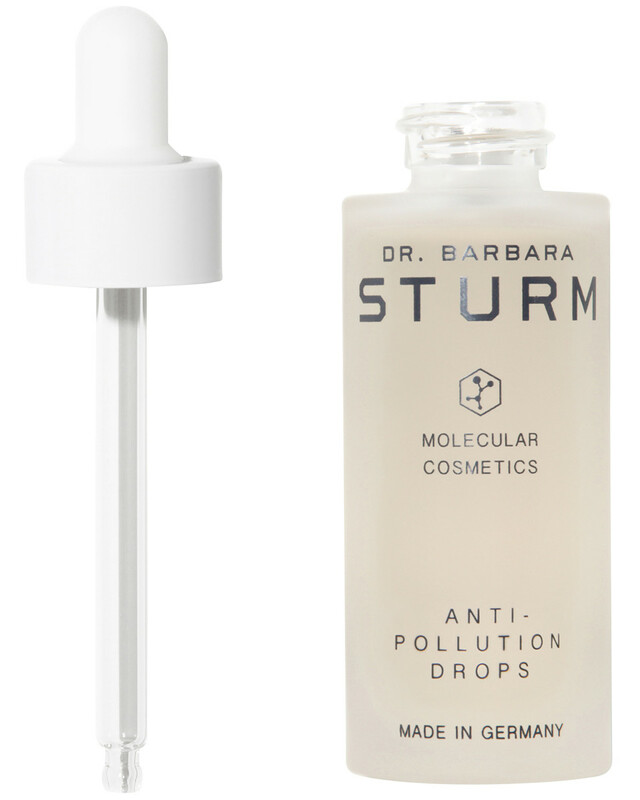 Dr. Barbara Sturm created her own line after being disappointed by other products on the market. 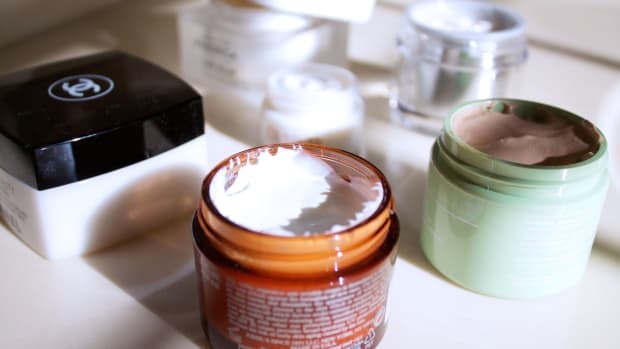 What do you think is the problem with most skincare products? I think in America, there are 15,000 more ingredients than in Europe that are allowed to be in use. The problem is we don&apos;t know, we don&apos;t know. I&apos;m a maniac when it comes to ingredients. I&apos;m very clean, non-toxic, cruelty-free, vegan, highly scientific. What do you think is the worst ingredient, that people should avoid? I don&apos;t like fragrances, although I have a Body Cream with the tiniest bit [of natural fragrance]. Otherwise, I hate fragrances. They irritate your skin. I also hate mineral oils. Mineral oils are the worst. What does mineral oil do to the skin? It&apos;s basically like putting oil, like petroleum on your face. It keeps your pores large, and it takes out hydration out of your skin. It&apos;s just used because it has nice cosmetic properties, and it&apos;s cheap. I think you want to use the best on your skin. Would it be the same with silicones? Yes, silicones are bad. Yes, yes. And alcohols. 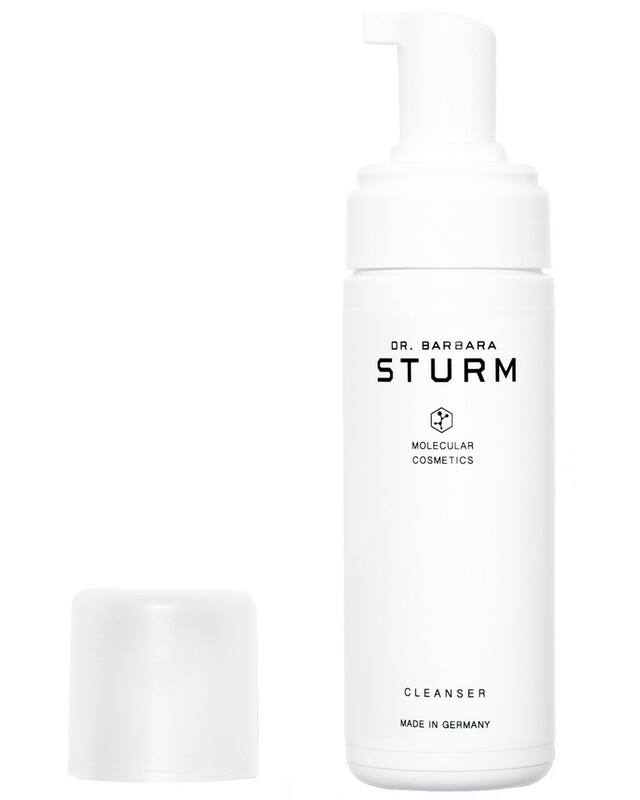 Dr. Barbara Sturm&apos;s line is free of synthetic fragrances, mineral oils and parabens. 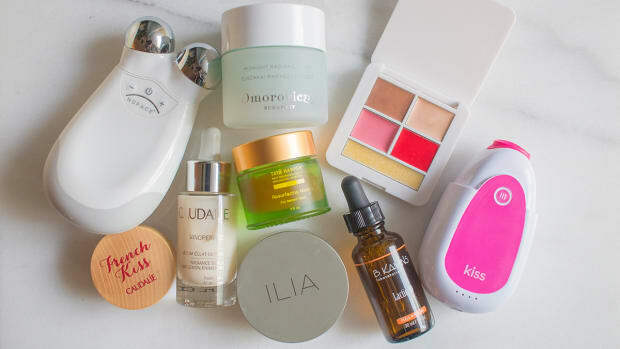 Besides avoiding those ingredients, what else is unique about your skincare products? Our whole approach is towards healing. We do anti-inflammation, we do telomerase-activating, and we do hydration. Our products are non-greasy, they&apos;re refreshing, and they go right in the skin and give you a glow. They just take care of the skin and the cell layers. Are they formulated for certain skin types, or can anybody can use them? No, [anyone can use them] because hydration is good for oily skin, for dry skin. Everybody needs hydration. What are the best products to start with, if we can&apos;t get a custom MC1 Cream? I would always start with the Cream, the Cleanser, and the Hyaluronic Serum. 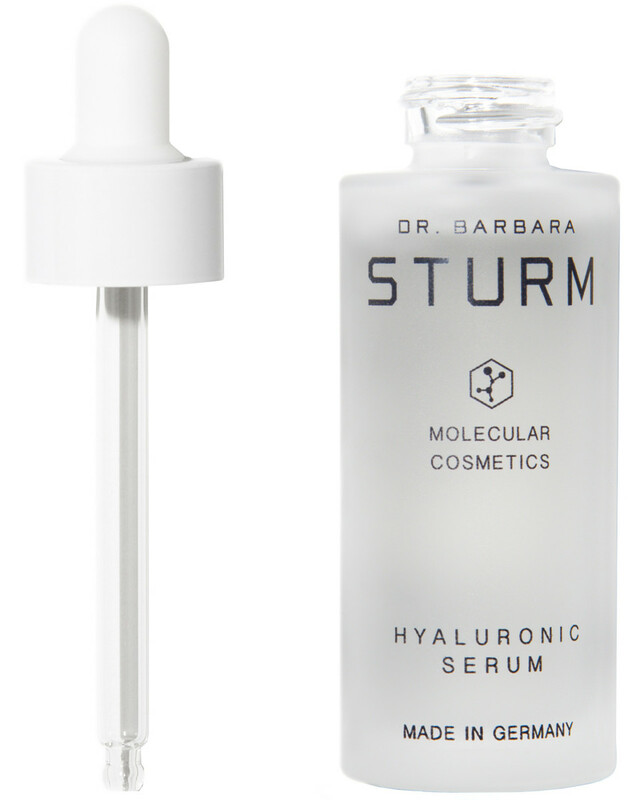 The Hyaluronic Serum is a water solution that transports the active ingredients into your skin. The Face Cream is a nice moisturizer for on top. Our Cleanser is very hydrating, and that&apos;s a nice combination to really take care of your skin. Do you think most people have dehydrated skin? I think, yeah, first of all, that&apos;s number one. People think oils hydrate, but they do just the opposite, you know. Oils are not really hydrating. Oils are shutting down your sebum production. It&apos;s like, if you take hormones, your pituitary is not able to release the hormones by itself, because you&apos;re giving your body what it needs from the outside. Anything else you wish women would start or stop doing with their skin? Going in and touching your face with dirty hands. Also, less is more. But from the less, [make it] the very best. You want simple but really perfectly researched products. And don&apos;t put harsh ingredients on your skin. 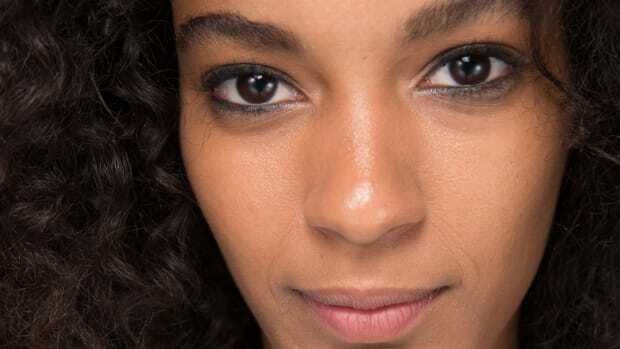 What about acids and retinoids? Yeah, I don&apos;t believe in them. Yes. And it strips down your skin, makes your skin thinner, and your cells are more vulnerable. What about if you have acne or pigmentation? The same. Acne&apos;s also inflammation. You need to take out the inflammation instead of putting more acids on it. How important is sunscreen? Do you wear sunscreen? Almost never. Only when I go in the ocean. At the beach. That&apos;s controversial, because most dermatologists are saying we have to wear sunscreen all the time, even on cloudy days and indoors. Yes, but you also need vitamin D intake. Also, I&apos;m not a person who&apos;s spending a lot of time in the sun, you know. I would never lie there and tan. Never ever. But I like sports in the sun. I do water sports and then I&apos;ll put sunscreen on. But if you&apos;re just walking to the office or something? You don&apos;t think it&apos;s necessary? No. If you use something like glycolic, then yeah, you need to wear sunscreen. But if you have healthy skin, no. Do you think Botox is a good way to fight aging? I like it. I do it for my patients, yeah. Is it true that Botox can cause muscle atrophy over time? Yeah, your muscles atrophy from the Botox, of course. Could that cause more sagging possibly? Yes, but you know, you&apos;re also protected from wrinkles. So it could cause sagging, but it also protects from wrinkles, so what&apos;s better? So you&apos;d just have to keep up with the injections, I guess. What&apos;s your opinion on lasers and light therapies? Light therapy&apos;s always been good. I&apos;ve used it since I was a kid; my parents put me in front of red lights to get rid of sinusitis. So yes, I believe in it. I don&apos;t believe in lasers. So harsh. It destroys your skin. I think we&apos;re all so used burning, peeling and fighting with our skin that it&apos;s unusual to hear someone promoting "gentleness." And healing and telomerase-activating, which is super-scientific. Keeping the cells alive and in really good shape, and taking out inflammation to protect from all skin conditions. What results can people expect from your product line? No irritations, more glow-iness, healthy skin, vital skin. So it kind of does it all. Dr. Barbara Sturm advocates a "less is more" approach to skincare. Do you plan to launch any more products? Yes, the kids line is coming out. And the Glow Drops are coming in November. They&apos;re a glaze, for a nice glow. And the Anti-Pollution Drops next year. What about makeup? Do you wear makeup? No, and I wouldn&apos;t be good in doing makeup, I don&apos;t think. For people who wear it, is it just as important to have clean ingredients? Yes. You know, I also find with makeup on, it just attracts more bacteria and dirt gets stuck on it. It&apos;s just my feeling—I&apos;m a maniac, I&apos;m medical, I&apos;m a medical maniac. I have to wash my hands all the time. I would never touch my face with my hands. My little daughter, who has like, dirty, filthy hands, she likes to touch my face, and I&apos;m like, "Stop it!" I taught my older daughter, and she&apos;s the same maniac now. Can bacteria harm your skin, even if you don&apos;t get acne? Yes, because you transport bacteria onto your skin all the time. 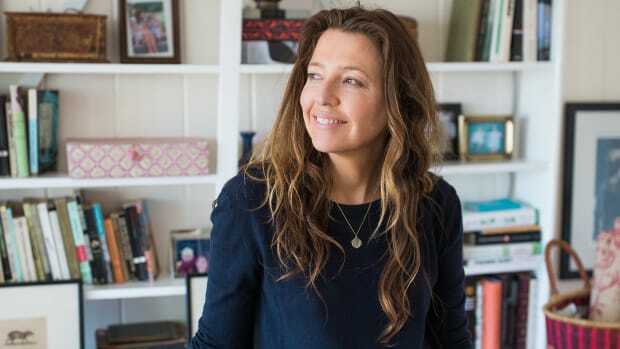 Are there any other skincare brands or doctors doing work you admire? I really don&apos;t look right and left, I just believe what I believe in. I do what I think is right. I don&apos;t have time to look around, honestly. I never was interested in what other people were doing. I like being different. I don&apos;t like the mainstream. And you know, I question everything. 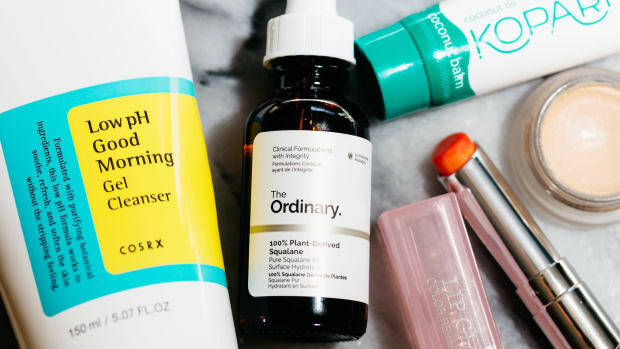 I would never have done skincare if I had thought, "Ah yeah, I&apos;ll do the same as this [doctor] friend and this [doctor] friend." It&apos;s all the same. I just care too much. My three things are anti-inflammation, telomerase-activating, and hydration. I think that is the key to good skin. 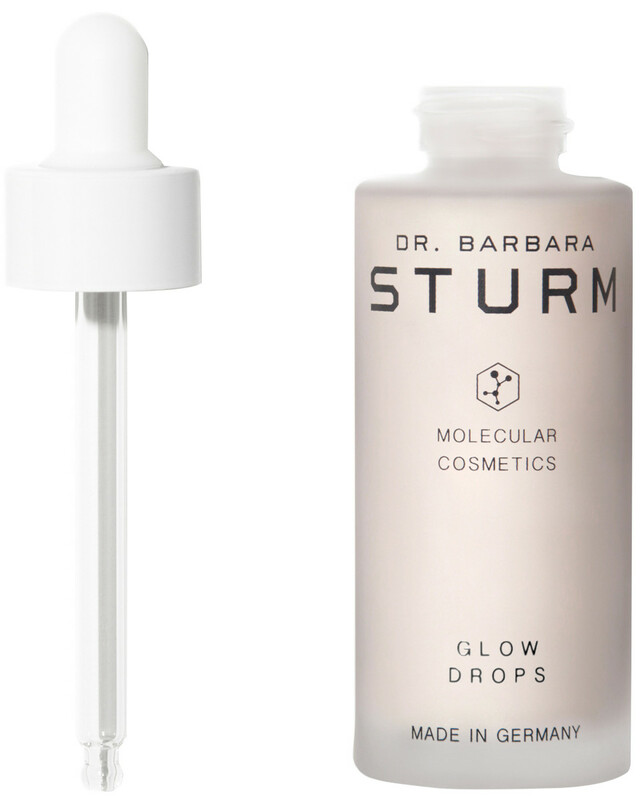 Dr. Barbara Sturm says her products deliver healthier, more radiant skin. You look so natural, it obviously must be working! I don&apos;t sleep, you know, I&apos;m travelling all the time. I don&apos;t have plenty of time to maintain myself. It&apos;s really hard. But I&apos;m German; I like the natural look. And when you have great skin, you don&apos;t have to wear makeup! 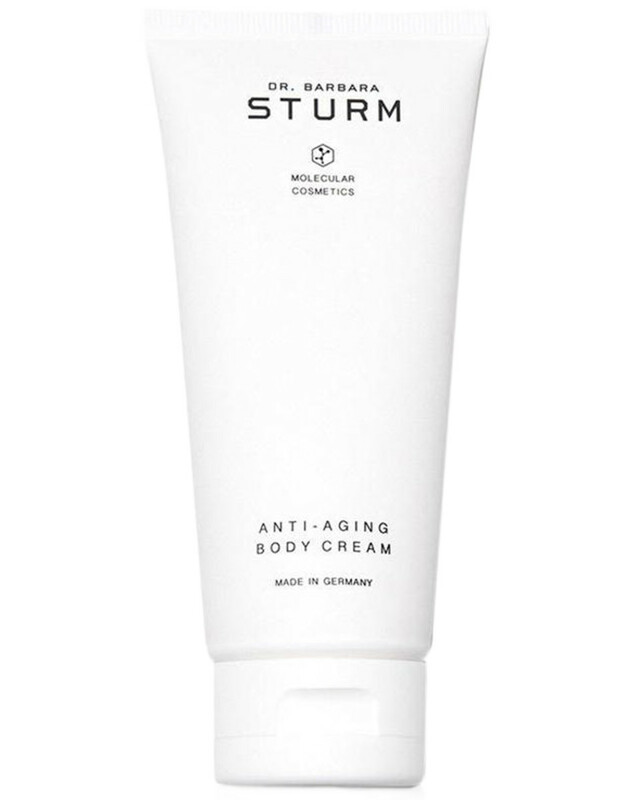 How do you feel about Dr. Sturm&apos;s approach to skin?